God’s Seal or the Beast’s Mark? "This week we will focus mostly on Revelation 13 and the events and powers portrayed in it, as always asking the questions: What do these events mean, and how can we be prepared for them?" 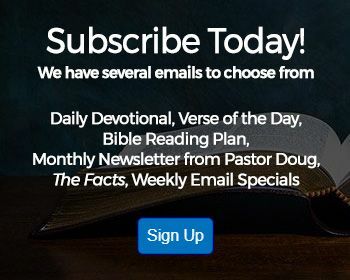 NOTE: If you have a Bible question for Pastor Doug Batchelor or the Amazing Facts Bible answer team, please submit it by clicking here. Due to staff size, we are unable to answer Bible questions posted in the comments. Please note: Approved comments do not constitute an endorsement by the ministry of Amazing Facts or Pastor Doug Batchelor. This website allows dissenting comments and beliefs, but our comment sections are not a forum for ongoing debate. Please be civil to one another. Good morning, friends, and welcome to Sabbath School Study Hour, coming to you from the Granite Bay Seventh-day Adventist Church in Sacramento, California. Very warm welcome to our online members and those joining us on the various television networks, our extended Sabbath school class today. And as always we want to welcome our members and visitors right here at the Granite Bay church. We've been studying through a very important lesson quarterly entitled "preparations for the end times". Today, we're on lesson number 10, which is entitled "America in prophecy". We're going to get into the very heart of the book of Revelation, look at some very important truths this morning. But before we get to that, we'd like to let our friends know who are joining us online and on the various networks about our free offer for today. It is a book entitled America and the Ten Commandments. This is the free offer. If you'd like to receive a copy of the book, you can give us a call at 866-788-3966 and you can ask for offer number 732. We'll be happy to send this book to anybody in North America. 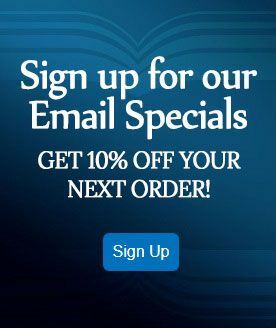 Now I know there are some folks out there who would rather get a digital download of our free offer today. So for those of you who would like to download the book, all you need to do is text the following code to this number. The code you want to text is sh007 and the phone number is 40544. And you'll be able to get information as to how you can download our free gift today entitled "America and the Ten Commandments". Well, before we get to our study, we always like to begin by lifting our voices in song. But today we have something a little special. We have a group from our friends from Sacramento central church who will be bringing us a special musical item at this time. Jesus loves me this I know for the Bible tells me so little ones to him belong they are weak but he is strong Yes Jesus loves me yes Jesus loves me yes Jesus loves me for the Bible tells me so Jesus loves me! He who died heaven's gate he is gonna open wide he will wash away my sin and let his little child come in Yes, Jesus loves me yes, Jesus loves me yes, Jesus loves me the Bible tells me so Jesus take this this heart of mine make it pure and wholly thine yes, he on that crossroad he died for me I will love love and live for him Yes, Jesus loves me yes, Jesus loves me yes, Jesus loves me the Bible tells me so Yes, Jesus loves me yes, Jesus loves me yes, Jesus loves me the Bible tells me so Dear Father, once again we are grateful for the opportunity to gather in your house, and open up Your Word and study. And we want to ask the Holy Spirit as always to come and guide our hearts, our minds as we look at a very important subject found in the book of Revelation, pray for your leading in Jesus' Name, amen. Again we'd like to welcome all of those of you who are joining us online and also our friends right here at the Granite Bay church, our members and visitors to our lesson study portion of our worship service. We're studying through our lesson quarterly entitled "preparation for the end times", and today we're on lesson number 10 called "America in prophecy". So for those of you who have your lesson quarterly, we do have a memory verse, it's found in Daniel 12:1 and we'll start by reading that and then we'll talk a little bit about the memory verse. It says, Daniel 12:1, it says, "at that time Michael shall stand up, the great prince who stands watch over The Sons of your people, and there shall be a time of trouble, such as never was since there was a nation even to that time: and at that time your people shall be delivered, every one that is found written in the book." So here in Daniel 12, we have a description of a terrible time of trouble. Matter of fact, the Bible says, it's worse than any other time before when Michael stands up. Well, who is Michael? There is different ideas as to who Michael is, something, Michael is one of the leading angels in heaven because sometimes he's referred to as an archangel. But who is this Michael that stands up, and what happens when Michael stands up? First of all, let's just look at Scripture to identify for sure who Michael is? We're going to link four verses together this morning that I think gives us a clear answers to who Michael actually is. First of all, the very verse we looked at in Daniel 12:1 talks about Michael being the great prince who stands watch over The Sons of thy people. Now who is the one who intercedes on our behalf in heaven? It is Jesus. In Jude 1:9. We have another reference to Michael, and here it talks about Michael being the archangel. And that's confused people. If Michael is the prophetic name of Jesus, why is he referenced as the archangel? What we need to understand is the word archangel means the ruler of or the one in charge of the angels, the commander of the angels. So we're not saying Jesus is an angel, but he is the ruler of the angels, is the one above the angels. And then in 1 Thessalonians 4:16 talking about the second coming of Jesus, it says, "the Lord himself shall descend from heaven with a shout…" so who is descending from heaven? the Lord. "With a shout, with the voice of the archangel, and the dead in Christ shall rise first. So the Lord himself, Jesus is coming in the clouds the second time. He has the voice of the archangel and when Jesus speaks, it says, "the dead in Christ will rise." Now in John 5:28, Jesus makes it very clear that the time is coming when those who were in their graves will hear his voice and they shall come forth. So the voice that raises the dead is the voice of Jesus. Jesus is said to have the voice of the archangel. The name of the archangel is Michael. So if you put that all together who is Michael really here in this passage. That represents Jesus, does that make sense? Now what happens when Jesus stands up? Revelation 22 says, "when Christ stands up, God says, 'he that is holy, let him be holy still, he that is filthy, let him be filthy still," probation closes. And then we have this verse in Daniel 12:1, "at a time of trouble worse than the world has ever seen occurs here, during that time the seven last plagues are being poured out." So the question addressed in our lesson for this week is what leads to this terrible time of trouble? What brings about the close of probation for the world? While there are certain events that have to take place before probation closes. And there's two very important key powers in the last days that work together to bring about this final last day events. And that's the focus of our study. So on Sunday, the lesson is entitled "the deadly wound healed", and we're introduced to this first power. There are actually two powers described in Revelation 13. And so if you have your Bibles, you can turn to Revelation 13, we're going to take a look at some of these verses. Revelation 13 and we'll begin with verse 1. And in just a few moments, I'll have somebody read Revelation 17:15 for us to help us identify certain aspects of this power. Now Revelation 13 describes two beasts. The first beast, it's described as coming up out of the sea and the second beast, it's described as coming up out of the earth. Revelation 13 gives us at least seven identifying points of this first beast power. So there is no question as to who this power represents. And so in Revelation 13:1, we find the first identifying Mark of this power. It says, "then I stood on the sand of the sea," Revelation 13:1, "and I saw a beast rising up out of the sea." So identifying point number one, where does this beast arise from? The Bible says, it comes from the sea. Now in Bible prophecy, what does water represent? What does the sea represent? Well, we don't want to guess at that, the Bible tells us in Revelation 17:15, and we have somebody that's going to read that verse for us now. "Then he said to me, 'the waters which you saw, where the harlot sits, our peoples, multitudes, nations and tongues." So what does water represent in Bible prophecy? Multitudes, and nations, and kindreds, and tongues. It's a densely populated area of the globe. Now, when we think today of densely populated areas, we think of china and maybe india, but back in Bible times in Bible history, it's really referencing the middle eastern europe. So this power that would arise, would arise somewhere in europe or the middle east, at least that's the first identifying Mark that we have of this power. Now during the time of the reformation, the Bible scholars recognize that this first beast power of Revelation 13 represents the papal power or the vatican. And we have a quote from a book entitled the rise of the medieval church, published by alexander flick, it's one of those great historical books. "It says, "the removal of the capital of the empire from rome to constantinople in 330 left the western church practically free from imperial power to develop its own form of organization. The bishop of rome, in the seat of the caesars, was now the greatest man in the west, and was soon forced to become the political as well as the Spiritual head. So a power would arise in europe that would exercise not only religious influence but political influence as well. The second identifying characteristic of this first beast power is Revelation 13:1, it talks about this power having seven heads and ten horns. And you'll see that there in verse 1, John writes, "then stood on the sand of the sea, I saw a beast rising up out of the sea, having seven heads and ten horns, and on its horns ten crowns and on its heads the names of blasphemy." Now the Bible has already identified for us what water represents, multitudes, and nations, and kindreds, and tongues. But what about these seven heads, what do they represent in Bible prophecy? We have another verse that somebody is going to read for us, Revelation 17:9. "Here is the mind which has wisdom. The seven heads are the seven mountains, on which the woman sits." So there the Bible tells us that the seven heads are what? Seven mountains upon which the woman sits. Now, we're going to get into Revelation 17 a little late in our study this morning. But in Bible prophecy a woman represents the church. Here is a religious power that also has political influence that is situated in a city that is famous for seven mountains or seven hills. Again this power has been identified as the papacy. Several years ago, we had the opportunity to travel to europe, and on one of those trips we went down to italy and to rome and we toured the vatican. During our time there at the vatican at st Peter's basilica, we were walking along looking at the different things. And there was a young man actually from California that was studying to be a priest there at the vatican, and he heard us talking, and he came up to us, and he said, "you folks from America." We said, "yes, we are." And he said, "well, I'm from California." We said, "well, so are we." And we got to chat little bit, he didn't live too far from where we were staying and he says, "well, let me give you a tour." So it was kind of nice, he gave us an inside tour of the vatican. Took us down st Peter's basilica, down underneath where all the popes are buried, he took us there, and then he took us up on to the roof of st Peter's basilica. And I remember standing out, and he was showing us the city of rome spread out there. And I couldn't help myself, I asked him now, "can you point out the seven hills of rome." And he said, "oh, yeah, absolutely." And he began to point to the seven hills of rome, and I thought to myself, "man, I wonder if he ever read this verse in Revelation 17." We have a work to share with the world, amen? A message that needs to go forth. We'll look at that a little bit later on when we get to the second angel's message. But for many years, the city of rome is being referenced the city of seven hills that, of course, being the seat of the roman church. Again from the book, the rise of the medieval church, it says, "the roman Christian church was a church of worldwide importance and power, and a bishop the most influential. Out of the ruins of political rome, arose a great moral empire in the giant form of the roman church. In the marvelous rise of the roman church is seen in strong relief the majestic office of the bishop of rome, otherwise known as the pope." So this power has seven heads, ten horns. It references the city of rome. Identifying point number three, it says, "upon its heads there are names of blasphemy." Again, this is Revelation13:1, it has these seven heads and ten horns and on its heads a blasphemous name. Now in the Bible, what does blasphemy mean? How is it defined? Well, when Jesus was on the earth, the religious leaders accused him of blasphemy because he claimed to be able to forgive sins. Could Jesus forgive people of their sins? Absolutely. He was going to provide the sacrifice that would bring forgiveness. Jesus was also accused of blasphemy when he took titles belonging to God. He referenced himself as being The Son of God, and the religious leaders accused Jesus of blasphemy. So blasphemy defined by the Bible is claiming to be able to forgive sins and taking titles that belong to God. It's interesting to note that the papal power does both of those two things, takes names that really just belong to God and also claims to be able to forgive sins. Probably most of you know this, but one of the most popular titles of the pope reference not only in religious realm but even in secular news is the phrase, the holy father. Have you heard that before when referencing the pope? The holy father. Now, it's interesting to note that Jesus when speaking of religious leaders in Matthew 23:9, said, "do not call anyone on earth your father." It's not talking about your literal fathers, it's talking about religious leaders because even back in Christ's day, the rabbis like to be referenced as father. And Jesus said, "don't call any religious leader father, for you have but one father, Jesus said, 'he who is in heaven.
'" So here we have a power referencing itself as the holy father. And it is also no surprise that the priests in the catholic church do claim the power to be able to forgive sins. Here is a quote from the catechism of the council of trent for parish priests, published again or reprinted in 1958, it says, "in all ages priests have been held in the highest honor, yet priests in the new testament far exceed all others. For the power of consecrating and offering the body and the blood of our Lord and forgiving sins, which has been conferred on them, not only has nothing equal or like it on the earth, but even surpasses human reasoning and understanding." So the priesthood actually claims that they have the power to be able to forgive sins. Two characteristics that would define blasphemy according to the Bible. Point number four, this is Revelation 13:2, it says, "it receives its power, its seat and authority from the dragon." Let me read the verse, it says, "now the beast which I saw was likened to a leopard, and it had feet like the feet of a bear and a mouth as the mouth of a lion. The dragon gave him his power, his throne, and great authority." Now where do we in the Bible read about a lion, a bear, a leopard, and a dragon like beast? All the way back in the old testament in the book of Daniel. Remember in Daniel 7, Daniel describes these various powers, these various kingdoms. Daniel 7 talks about a lion which represents Babylon, and a bear that represents medo-persia, and a leopard that represents greece, and then there's a dragon like beast that represents rome. It's interesting to note that Daniel is looking forward in time and so it's the lion, the bear, the leopard, the dragon. But here John right in the book of Revelation is looking back in time, so he references the leopard first, then the bear, then the lion, and then he says the dragon gives this power, its seat and great authority. So what is that referencing? Although the dragon is identified in Revelation 12:9 as being satan, the dragon is also identified as pagan rome. The power that the devil worked through to try and persecute Christ or actually destroy Christ when he was just a baby. Now Revelation 12 talks about the dragon standing ready to devour the man-child as soon as he was born, so we know that pagan rome was a persecuting power not only to Christ, but also to the Christians of that first century. So the dragon which represents satan also represents the power of rome through which satan was working to persecute God's people. And here this passage says that the dragon or pagan rome will give this power, its seat and great authority. Again the book, the rise of the medieval church, page 150 says, "out of the ruins of political rome, arose a great moral empire in the giant form of the roman church." Still keeping the name rome. You've got pagan rome and then you have papal rome, keeping the same capital, the capital of pagan rome was rome, the headquarters of the roman church is rome, the city of seven heads. Now this is an interesting point that we have in verse 3, Revelation 13:3. It talks about a deadly wound that this power receives, but then it is healed. As Revelation 13:3 says, "and I saw one of its heads as it had been mortally wounded, but the deadly wound was healed, and all the world marveled and followed after the beast." Now, there is an important point to note, Revelation 16 talks about a counterfeit trinity. It references the dragon, the beast, and the false prophet. The dragon, symbol of satan, the beast, a symbol of the papal power, the false prophet, representing a false manifestation of the Holy Spirit, or the charismatic movement, or apostate protestantism, there's several things incorporated in that phrase false prophet. Now the true trinity, you have The Father, you have The Son, and you have the Holy Spirit. The counterfeit trinity, you have the dragon, the beast, and the false prophet. The dragon representing satan wants to usurp the position of God, The Father. The devil wants to be like the most high. The beast power seeks to usurp the place of Jesus. Now just stop and think for just a moment. Jesus is our high priest ministering in the heavenly sanctuary. Jesus is the one that provides forgiveness. Jesus is the one that provides his sacrifice, makes it available to us, we receive it by faith. Jesus is the one who intercedes for us before The Father. The beast power has a counterfeit priesthood on the earth. There is a counterfeit sacrifice, the mass. And there is a counterfeit forgiveness obtained through the priesthood. It's as if the beast power is trying to usurp the place of Christ. Now it talks about this beast power receiving a deadly wound, but the deadly wound is healed. 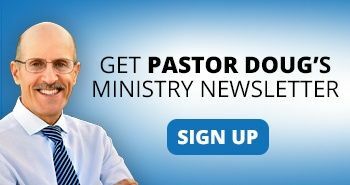 After three and a half years of public ministry here on the earth, Jesus received a deadly wound. He died on the cross for our sins. But the deadly wound was healed when Jesus rose from the dead and all the world marveled. Christianity was spread around the world. So we find the beast power ruling for a symbolic three and a half years, then receiving a deadly wound, but the deadly wound is also healed, and all the world marvels and follows the beast. So identifying point number five, this power receives a deadly wound. While the papacy received this deadly wound in 1798, when berthier, napoleon's general Marched into rome and proclaimed the political rule of the papacy at an end, and the pope was taken to prison into France where he died. The power received a deadly wound, but the deadly wound would be healed, that healing began in 1929 when mussolini restored sovereignty to the vatican, and the vatican became an independent state within the city of rome. So the vatican is not under the control of some other political power, but it is an independent nation, the smallest country on the earth, but one of the most influential. It's very interesting, there's this famous quote from the san francisco chronicle, a newspaper published back February 12, 1929. And the headlines of this article says, "mussolini and gaspari sign historic roman pact..." Then it goes on to say, "healed the wound for many years." Then in the article it says, "the roman question tonight was a thing of the past and the vatican was at peace with italy. The formal accomplishment of this today was the exchange of signatures in the historic palace of st John. In affixing the autographs to the memorial document healing the wound which has festered since 1870." So here we have even a newspaper using the very words of healing the wound. So in 1929, the papacy received back its sovereignty as an independent nation there in the vatican, but now it continues to extend its influence around the world. Point number six, it says, "the people end up worshiping the beast power." This Revelation 13:4, it says, "so they worship the dragon who gave authority to the beast, and they worship the beast saying, 'who is like the beast?' 'Who is able to make war with him?'" According to this prophecy, the papacy continues to grow in influence and power around the world. Now when it says, they worship the beast, you worship the one you obey. If you choose to obey a man made tradition that contradicts a commandment of God, who are you worshipping? The power you obey. Doesn't that make sense? So in the last days there will be certain laws and we'll have to choose, are we going to obey God's commandments, or do we go with these man made traditions, these laws promoted by the papal power. The one that we obey is the one that we end up worshipping. Now, is the papacy growing in popularity today around the world? Absolutely. Of course, I don't need to tell you this, you probably know this. But pope francis was the very first pope ever back in 2015 to speak to both houses of the us congress. Never happened before. Just recently, I think a few weeks ago, a documentary was just released in theaters here in North America entitled pope francis: a man of His Word. A beautiful documentary illustrating just the virtues, and the agenda, and the person of francis, how wonderful he is. The papacy is growing in power and influence like never before. And then verse 5, Revelation 13:5, gives us a very important time period. This power will continue for 42 months. Revelation 13:5 says, "and it was given a mouth to speak great things and blasphemies. And he was given authority to continue for 42 months." Now there are 30 days in a Hebrew month. And 30x42 is 1260. So this power will continue for 1260, one prophetic day is equal to one literal year, 1260 years. Well, if you look back in history, that's exactly what happened. That was in 538 that justinian, emperor of rome decreed that the pope was the head of all Christendom and the true and effective corrector of heretics. So the pope receives his throne and his crown in 538 ad, that continues until 1798, when berthier, napoleon's general Marched into rome and proclaimed that the rule of the papacy at an end. Exactly 1260 years just as the Bible has described. So there is no doubt, if you stop and look at the various characteristics given there in Revelation 13 for this first beast power, this first beast power represents the papacy. But there is a second beast power that works together with the first beast power. And that's the subject of Monday's lesson. We're going to be looking at the second beast entitled "the United States in prophecy". So if you have your Bibles again, we're going to look at Revelation 13, and we'll start reading here in verse 11. It says, "and I saw another beast, come up out of the earth, and he had two horns like a lamb, but he spoke as a dragon.
" So who is this beast power? Well, first of all, it says that John says, "I saw another beast coming up out of the earth." Now this is verse 11, but if you read Revelation 13:10, it's still talking about the papacy and says, "he who leads into captivity shall go into captivity. He who kills with the sword must be killed with the sword." Now when did the papacy go into captivity? What was the date? When it receives the deadly wound, 1798. So right around that same time period when the papacy goes into captivity, John then describes another beast or another power arising. The second point we want to note is that this power arises from the earth, not the sea. What does the sea represent in Bible prophecy? Multitudes, and nations, and kindreds, and tongues. It represents europe and the middle east. But this power that would arise somewhere around 1798 would not come up there in densely populated europe. It talks about the earth, a sparsely populated area. The third identifying fact given in this verse is that it has two lamb like horns. Now you might be wondering what do horns represent in Bible prophecy? According to Daniel 7:24, horns represent Kingship or ruling powers. So this new nation that would arise somewhere around 1798 in a sparsely populated area of the world would be governed by two ruling principles. Something else interesting to note that these horns do not have any crowns on them. Now when talking of the first beast in Revelation 13, the beast we've already identified is the papacy, it talks about this beast power having ten horns and having crowns upon its horns. These are the ten nations of western europe that the papacy controlled, they were monarchies, they had crowns. But this new power that would arise around 1798 in a sparsely populated area of the world would not have any crowns, meaning it would not be a monarchy, it would be something different. And then verse 12, Revelation 13:12, gives us another clue as to what this power is or who it is. It says, "he exercised all the authority of the first beast in his presence, and caused the earth, and those that dwell in it to worship the first beast, whose deadly wound was healed." So this has to become a world superpower because eventually it forces all the world to honor or worship. Remember, you worship the one you obey, to honor or worship the first beast power or the papacy as we see early in the chapter. Well, what nation meets all of these requirements as given for the second beast of Revelation 13, "there is only one power that meets them all, and that of course is the United States of America. It arose right around 1798 just a little before that as the papal power was receiving its deadly wound. It was not growing into power in a densely populated region of the world, but in a sparsely area, sparsely populated area. It does not have a monarchy, it is ruled by two lamb like principles. What were the two lamb like principles upon which America was founded? Let me read you these very well-known words. "We hold these truths to be self-evident that all men are created equal and that they are endowed by their creator with certain unalienable rights among which is life, liberty, and the pursuit of happiness. Congress shall make no law respecting an establishment of religion or prohibiting the free exercise thereof. Who does the lamb represent in Bible prophecy? It represents Jesus. Did Jesus ever forced anyone to worship him? Can God accept worship that is forced? No. God can only accept worship that is given and motivated by love. So here is this new power that is arising right on time around 1798 as the first beast receives this deadly wound and it's built upon these two principles of freedom of religion, you're not governed by a monarchy, it's a representative form of government, it's something new that the world hadn't really seen before. Here is a quote from the book the Great Controversy, page 440, it says, "what nation of the new world was in 1798 rising into power and giving promise of strength, and greatness, and attracting the attention of the world. One nation and only one meets the specifications of this prophecy. It points unmistakably to the United States of America." So in Revelation 13, the first beast power is identified as the papacy, the second beast power is identified as the United States. Two key players at the end of time. We're going to look at what they do, how they work together. Tuesday's lesson is entitled "an issue of worship". What is it that the devil wants more than anything else? He wants worship. That's what he wanted in heaven, that's what he wants on earth. 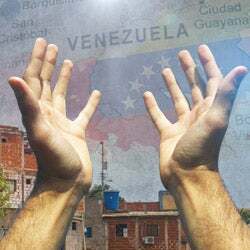 Do you remember one of the temptations devil brought to Jesus was, "if you just bow down and worship me, I'll give you all the Kingdoms of the earth." The devil even wanted Christ, the creator to bow down and worship him. And at the end of time, the devil is able to get the whole world to worship him except for those whose names are written in the lamb's book of life. That's why in Revelation 12:17, it says, "the dragon was enraged with the woman and went to make war with the remnant of her offspring who keep the commandments of God, and have the testimony of Jesus Christ.
" So God will have a people at the end of time who keep his commandments, who worship him, they refuse to set aside God's commandments for man made law. They choose to follow God and keep his commandments. So then the question is asked, how does the second beast being the United States that has lamb like principles upon which it was founded end up speaking like a dragon? What happens? What occurs? What are the steps involved in bringing this lamb like nation into a dragon like nation? Well, the Bible gives us five steps that the United States takes where it goes from lamb like to dragon like. The first is in our verse there, verse 11, it says, "it speaks like a dragon." Now a nation speaks by its laws. For the most part, United States has passed laws that protect religious liberty and human freedoms. But according to this verse, a time will come when the United States will violate these very principles of its constitution by passing laws that restrict religious freedom. Now 25-30 years ago, saying something like that, a person might think, "well, how could that ever happen in the United States of America?" But I think we all realize that something changed on 9/11. Our freedoms are slowly being taken away. You'll notice as a result of terrorism, there is much focus on religion. And what religion is permissible and what religion is not permissible? And today, it doesn't look that impossible that a time will come where certain laws are passed that have to do with religion. The second step is an enforcement of worship to the first beast. Revelation 13:12, "and he exercises all the authority of the first beast in his presence, and causes the earth and those that dwell in it to worship the first beast whose deadly wound was healed." Now it's interesting that the United States will one day enforce a certain type of worship, a certain type of worship that is created and promoted by the papacy. The next step it says, "deceives those by working miracles on the earth," speaking of the United States or at least the religious entity within the United States. Revelation 13:13 says, "he performs great signs, so that he even makes fire come down from heaven on the earth in the sight of men." Now what does it mean when the Bible says, fire coming down from heaven? What does that represent? What does that mean? Can you think of some examples in the Bible where fire came down from heaven? Remember Elijah on Mount Carmel, fire came down and consumed the sacrifice. What did that represent? Well, God's approval. We also remember when the disciples were gathered together in the upper room, the Holy Spirit came upon them in tongues of fire. But fire coming down from heaven can also represent God's judgment as it did with sodom and gomorrah. It says here that this second beast power, or the United States will bring fire down upon the earth, performing signs and wonders. It will appear as a result of a counterfeit spiritual revival. It will appear as though the Holy Spirit is behind this ecumenical movement to pull the whole world together, to unite the world under the Spiritual leadership of the papacy. There will be signs and wonders that will be performed. Now Jesus warned us about these signs and these wonders. And we're going to have somebody read for us, Matthew 24:24. And this is in the context of the last days. Matthew 24:24, "for false Christs and false prophets will rise and show great signs and wonders to deceive, if possible, even the elect.
" In the very next verse, Jesus say, "see I have told you beforehand." So Christ is warning us, he says, "don't be deceived, in the last days there's going to be signs and wonders." You're not going to be able to believe what you see or what you hear, but you need to believe what the word says, right? The devil is going to do everything he can to deceive, even the Bible warns us about that. And then the next step in the United States speaking like a dragon, it says, "he makes an image to the first beast." Now the first beast is the papacy. The papacy is a religious institution that uses political power to enforce its teachings. And image to the beast would be when the United States passes religious laws and uses civil authority to enforce those laws that would be creating an image to the first beast. So the time comes in the United States because of strife amongst nations, terrorism, an increase of natural disasters, a looming financial crisis that there will be those who are saying, unless we pass certain laws dealing with worship in this country, America will be doomed. All those very laws will be laws created and promoted by the papacy. And finally step number five, it says, "this power will enforce the Mark of the beast." Now, we're not going to get into the Mark of the beast today because we have an entire lesson dealing with the Mark of the beast next week. I'm going to be talking about the Mark of the beast and the seal of God, very important study. But a time comes when the United States will actually force a certain form of worship, we call it the Mark of the beast. And the way that it does so is that no man can buy or sell unless he receives the Mark of the beast. Let me just read it for you, it's Revelation 13:16 and 17. It says, "he calls all, both small and great, rich and poor, free and slave, to receive a Mark in their right hand, or in their forehead, that no one can buy or sell, except the one who has the Mark, or the name of the beast, or the number of his name." So the time comes that if you do not go along with these certain laws that have to do with worship, you're not going to be able to buy and sell. Again 25 years ago, 30 years ago, people thought, "well, how on earth could that ever be enforced?" Well, today, we're becoming less and less dependent upon cash and more depended upon electronic means of payment, isn't that correct? I'll bet you, there's a whole bunch of us here today that don't even carry cash in our wallets anymore. We have a credit card and we have a bank card and that's what we use. It's so convenient nowadays. But is it possible for the government to prevent you from buying and selling if it chooses to do so. I think that's what happened to us as well at some point to another where maybe our credit card was lost or stolen, and we call the bank, and say, "you know, freeze that credit card. Don't let anyone use that card." You can't buy or sell. From time to time, I travel overseas and I forget to call the bank and tell them that I'm taking my credit card out of the country, they know where I am, and so when I swipe the credit card in some other country. They say, "I'm sorry, it's declined, you can't book your hotel.
" I think, "oh, no." I didn't call before and I got to make a phone call to allow them to use the credit card. So even in our society today we can see how this can be enforced where you can't buy and sell. And of course that's happening in the realm of terrorist entities even today where their financial assets are taken away. So what we read in the Bible is very true, it could happen in our time. So in Revelation 13, we have two powers, the first power being the papacy, the second being the United States. A time will come here in the United States where God's commandments are being set aside for man made tradition. And every single person will have to choose. Am I going to obey God, keep his commandments, or am I going to go along with these man made laws that contradict God's commandments. Now in the book of Revelation, we have a number of themes introduced in the book of Daniel. And in Daniel 2, there is a. .. Daniel 3 actually, there is a story of king Nebuchadnezzar that built this giant image made of gold on the plain of dura. And he called representatives from his realm and gathered them in there on the plain of dura, and at the sound of music he told them that they needed to bow down and worship this golden image. And as the music began to play, everybody bowed down to worship the golden image except for shadrach, meshach, and abednego. Why did they refuse to bow down before that golden image? Because the second commandment says, "we are not to bow down to any golden image or worship it.
" Now the people who bowed down to that golden image, who were they actually worshipping? The one who established or built the golden image which would have been the King and the power influencing the King which would being the devil. Remember we worship the one that we obey. Shadrach, meshach and abednego stood firm when everybody else bowed to this image created there on the plain of dura. They were even brought before the King. And they had to give an answer to why they refused to bow down. the King even gave them a second chance and says, "listen, just bow down." It's as if he almost forgot about shadrach, meshach, and abednego. He knew about Daniel and so, Daniel wasn't there. the King possibly had sent Daniel off on some mission, but he forgot about Daniel's three friends who were just as loyal as Daniel was to the God of heaven. And the King said, "all right, I'm going to give you another chance. When you hear the music, just bow down.
" And I like the response of shadrach, meshach, and abednego. They said, "king, we don't have to think long before we answer you in this matter, paraphrasing. He says, "the God that we serve is able to deliver us from your fiery furnace, but even if he does not deliver us, let it be known to your king, we will not bow down and worship your golden image." Why? Because they valued God's commandment above the commandment of the King. The time is coming where we will have to give an answer to our faith. Will we stand for what we know to be true? Will we stand loyal to God's commandments? Will we say we are not going to compromise in this matter, but we choose to obey God? Friends, if we're going to stand faithful to God when that time comes. I think it's important that we start standing faithful to God now in the smaller things of life. Amen? Amen. It's through exercising faith in the smaller things that we are able to stand when the really big test comes. We pray that God gives each of us grace to stand firm, and faithful, and loyal because we want to be amongst the remnant, those who keep the commandments of God and have the faith of Jesus. Is that your desire today? I hope so, absolutely. It looks like we're out of time. 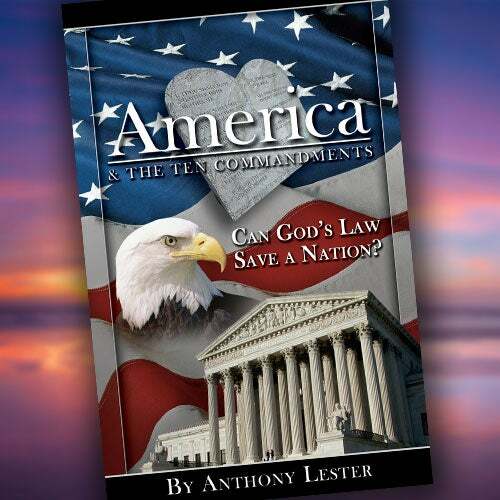 I'd just like to remind our friends who are joining us online about our free offer, it's entitled "America and the Ten Commandments", very appropriate book for our study. If you'd like to receive this, you can call 866-788-3966 and ask for offer number 732, or if you like you can download the book for free by simply texting sh007. The number to text is 40544, and you'll get a link to download the book "America and the Ten Commandments". Thank you for joining us, until next week may God bless. Can't get enough Amazing Facts Bible study? You don't have to wait until next week to enjoy more truth filled programming. Visit the Amazing Facts media library at aftv.org. At aftv.org, you can enjoy video and audio presentations, as well as printed material all free of charge, 24 hours a day, 7 days a week, right from your computer or mobile device. Visit aftv.org. You've probably heard the expression before, "if you don't like the weather in Texas, just wait, it'll change.
" And you've also heard everything is bigger in Texas, the ranches, the belt buckles, the cowboy hats, but the most famous slogan about Texas is remember the alamo. The violent battles and bravery of iconic heroes have been the stuff of legends throughout which entire cultures often draw on their identity and pride even long after centuries have past. And in Texas, the story of the alamo has been a rallying cry of Texas independence for 200 years. One reason that texans love to brag that everything is bigger in Texas is, of course, because Texas is the largest of the lower 48 us states. It's hard to believe that this massive state got its beginning in a very small Christian mission during the battle of the alamo. Every year this famous mission museum receives over 2.5 million visitors from all parts of the planet that are eager to get a good look at this legendary site. The alamo played a critical role in the Texas revolution. In December, 1835, texans and tejano volunteers battled mexican troops cornered in the city forcing general martin perfecto de cos to surrender. The victorious volunteers then occupied the alamo and strengthened its defenses. Famous Americans like davy crockett, jim bowie, and colonel william travis made this location, this ancient mission the beachhead, the last stand in an epic battle to win independence of Texas from Mexico. On February 23, 1836, the arrival of general antonio lopez santa anna nearly caught them by surprise, undaunted, the texans and tejanos prepared to defend the alamo. For this small ragtag group of rebels, the youngest of who was about 16 and the oldest 75 was against the well trained and organized mexican army of 6,000 plus soldiers. It was a fierce and lopsided battle, yet the small force of rebels was able to repel the troops for 13 days. Legend holds that with the possibility of additional help fading, colonel travis drew a line in the ground with a sword and ask, "any man willing to stay and fight will step over the line." All except one crossed over. The final asSault came before daybreak. On the morning of March 6, 1836, the 13th day of the siege, cannon and small arms fire from inside the alamo, repack several mexican attacks, regrouping, santa anna soldiers scaled the walls and rushed into the compound. The desperate struggle continued until the defenders were overwhelmed. By sunrise, the battle had ended and the garrison were slain. You know historians may debate some of the details regarding the battle of the alamo, but none of them questioned the incredible sacrifice that was made and the courage that was displayed during that intense conflict. They made the ultimate sacrifice, giving their lives. And this is why the story of the alamo is so inspiring and so encouraging. You know, and that's why the Bible is so inspiring, friends, because someone was willing to make the ultimate sacrifice and give his life, so that you can have freedom and eternal life. Don't you think you could trust your life to a friend like that, that would give everything? The story of the Gospel is a story of courage and hope. It's a story of a God who will never leave you without defense and support. Jesus is the good news, and the Gospel is a story worth remembering. Let's face it, it's not always easy to understand everything you read in the Bible. With over 700,000 words contained in 66 books, the Bible can generate a lot of questions. 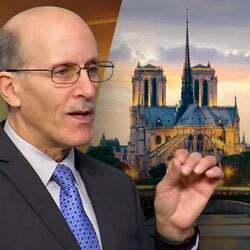 To get biblical straightforward answers, call into Bible answers live, a live nationwide call-in radio program where you can talk to Pastor Doug Batchelor and ask him your most difficult Bible questions. For times and stations in your area or to listen to answers online, visit bal.amazingfacts.org. Friends, if you're scared of snakes, this may not be for you. I'm here at a reptile park outside of durban, south africa. And I'm holding my friend here who is a red-tailed boa. Snakes are found all over the world and they come in all sizes. Snakes can be found through the trees, they crawl on the ground, they live under the ground, and they swim in the water. Very interesting creatures. Some snakes are venomous, not my friend here. But the black mamba, very poisonous. Matter of fact, their bite is often referred to as the kiss of death. They can grow 15 feet long and can travel up to seven miles an hour. They don't call them black mambas because of the color of their skin, but the interior of their mouth is black. Snakes also come in all sizes. Like this boa or python, they can grow to great sizes. Matter of fact in south America, they found some fossils of a snake that they called titanoboa. They believe it was as big as 50 feet long and weighed as much as a car. Say jeez. A lot of people are scared of snakes. I used to live in a mountain in a cave and I ran into snakes frequently. They never bothered me unless I was bothering them. In the Bible, the snake is often a symbol of the devil. In reality, it's just a simple, they're animals like other animals. But it says they were cursed to go upon their belly because they were the first medium that the devil used to tempt adam and eve. In the book of Numbers 21, it tells a story of how when the children of Israel were going through the wilderness, they began to complain about God's manna. And it says, "the Lord allowed these fiery serpents to go among the people, and many were bitten, and the venom is deadly. I should probably mention at this point that bread they were complaining about is a symbol for the Word of God. As many of the people were dying from this plague of serpents, they went on to Moses and they said, "what shall we do?" God told Moses to make a bronze serpent, and put it on a pole, and lift it up that whoever looked upon the serpent, they will be healed of their venom. This is why it's so important because Jesus says in the Gospel of John 3:14 and 15, "as Moses lifted up the serpent in the wilderness, even so The Son of man must be lifted up, that whoever believes in him might not perish but have everlasting life." They needed to look in to live. You see those ancient shepherds when they would kill a venomous snake, they would carry it off on their staff and bury it. So a serpent on the pole represented a defeated snake. It's talking about defeating the devil, friend. Have you been bitten by the serpent? We all have. The only cure for the venom of satan is to look in faith at Jesus, he then defeated the devil, he took the venom of sin in his body to provide the antidote in his blood. So, friends, I encourage you to look today and live. Who Will be Left Standing? At the end times, what happens to those not part of the 144,000? Does the Bible say we should judge sin in other Christians?